The pH Sensor can be used for any lab or demonstration that can be done with a traditional pH meter, including acid-base titrations, monitoring pH in an aquarium, and investigating the water quality of streams and lakes. The pH Sensor may require a compatible interface and software. Choose a platform below to see compatible interface and software options. The pH Sensor is fully supported with LabQuest 2 (version 2.8.5), a standalone data logger with built-in graphing and analysis software. Thoroughly rinse the lower section of the probe, especially around the bulb‑shaped tip, using distilled or deionized water. Important: Do not fully submerge the sensor. The handle is not waterproof. Use Logger Pro to Determine the Concentration of an Acid in a Beverage in sports beverage, fruit juice, or soft drink. You may also be able to identify the acid. 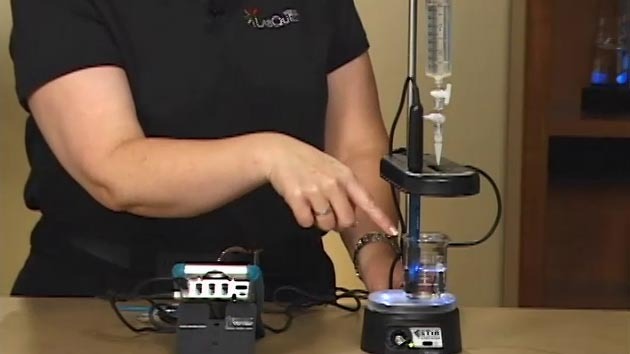 Use a Vernier pH Sensor, Stir Station, Drop Counter and LabQuest to perform an acid-base titration. 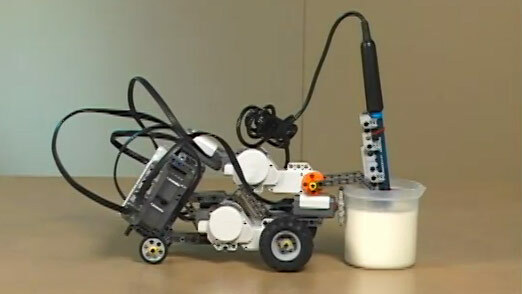 Use a Vernier pH Sensor and a Vernier NXT Sensor Adapter with the LEGO MINDSTORMS NXT robotics system to test the acidity of a liquid. 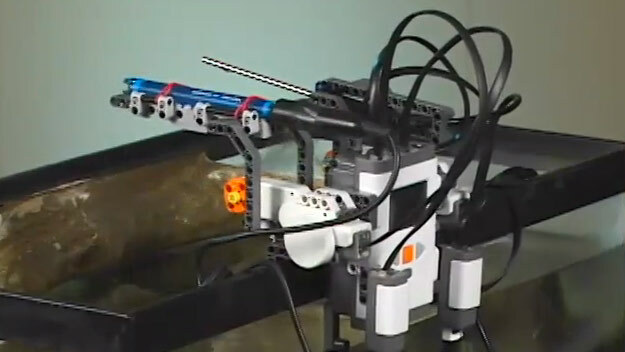 Use multiple Vernier sensors and Vernier NXT Sensor Adapters with the LEGO MINDSTORMS NXT robotics system to take detailed readings from an aquarium. For many experiments, calibrating the pH Sensor is not required. A calibration equation is stored on each pH Sensor before they are shipped, which is used as a default by Vernier software. Long-term storage (more than 24 hours): Store the electrode in a pH 4 buffer/KCl storage solution in the storage bottle. The pH electrode is shipped in this solution. Vernier sells 500 mL bottles of pH Storage Solution (order code PH‑SS), or you can prepare additional storage solution by adding 10 g of solid potassium chloride (KCl) to 100 mL of pH 4 buffer solution. Vernier sells a pH Buffer Capsule kit (PH-BUFCAP) that includes a buffer solution preservative. Storing the electrode in this solution contributes to electrode longevity and retains electrode response time when the unit is placed back into service. The pH amplifier inside the handle is a circuit that allows the standard combination pH electrode to be monitored by a lab interface. The cable from the pH amplifier ends in a BTA plug. The pH Sensor produces a voltage of approximately 1.75 volts in a pH 7 buffer. The voltage increases by about 0.25 volts for every pH number decrease. 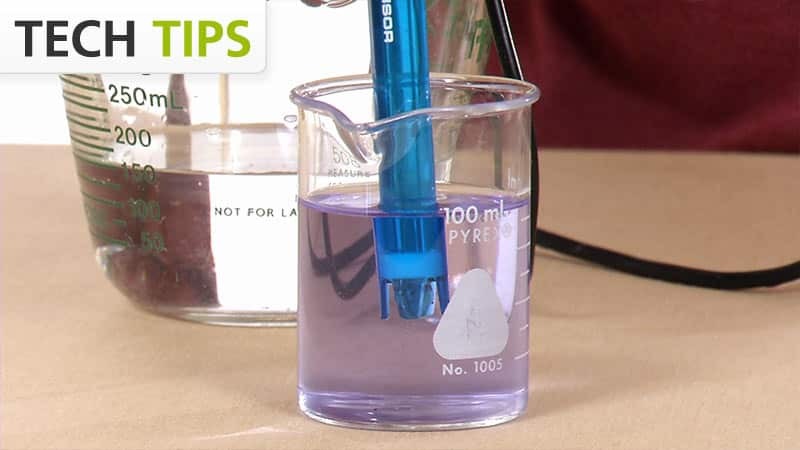 The voltage decreases by about 0.25 volts/pH number as the pH increases. The Vernier gel-filled pH Sensor is designed to make measurements in the pH range of 0 to 14. 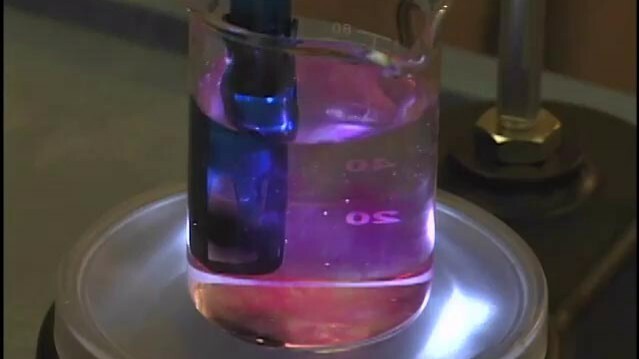 The gel-filled reference half cell is sealed; it cannot be refilled. The pH Sensor is designed to be used in aqueous solutions. The polycarbonate body of the sensor can be damaged by many organic solvents. In addition, do not use the sensor in solutions containing: perchlorates, silver ions, sulfide ions, biological samples with high concentrations of proteins, or Tris buffered solutions. Do not use the sensor with hydrofluoric acid or in acid or base solutions with a concentration greater than 1.0 molar. When testing a pH Sensor, it is best to measure a buffer solution because it is easier to determine if the sensor is reading correctly. Do not test your sensor by measuring distilled water. Distilled water can have a pH reading in the range of 5.5–7.0, due to varying amounts of dissolved carbon dioxide. Furthermore, due to a lack of ions, the pH values reported with the sensor in distilled water will be erratic. If your pH Sensor is reading differently from the pH of a buffer solution (e.g., reads 6.7 in a buffer 7), you may simply need to calibrate the sensor. See the Calibration section for more information. 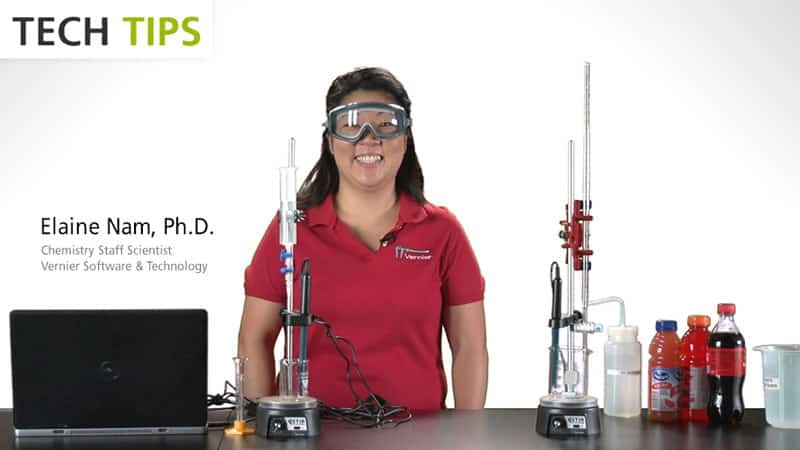 If you have watched the related product video(s), followed the troubleshooting steps, and are still having trouble with your pH Sensor, contact Vernier Technical Support at support@vernier.com or call 888-837-6437. Support specialists will work with you to determine if the unit needs to be sent in for repair. At that time, a Return Merchandise Authorization (RMA) number will be issued and instructions will be communicated on how to return the unit for repair. Vernier warrants this product to be free from defects in materials and workmanship for a period of five years from the date of shipment to the customer. This warranty does not cover damage to the product caused by abuse or improper use. This warranty covers educational institutions only. Additionally, the warranty does not cover accidental breakage of the glass bulb of the pH Sensor.